I can tell you first-hand, you will get the most out of a Startup Weekend with an open mind and open arms. 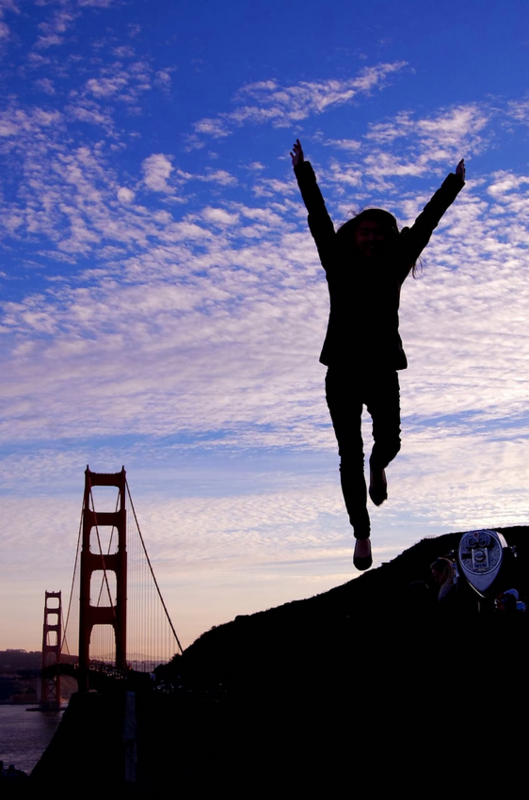 I went to my first one in Silicon Valley while backpacking knowing absolutely nobody and had no idea what to expect. 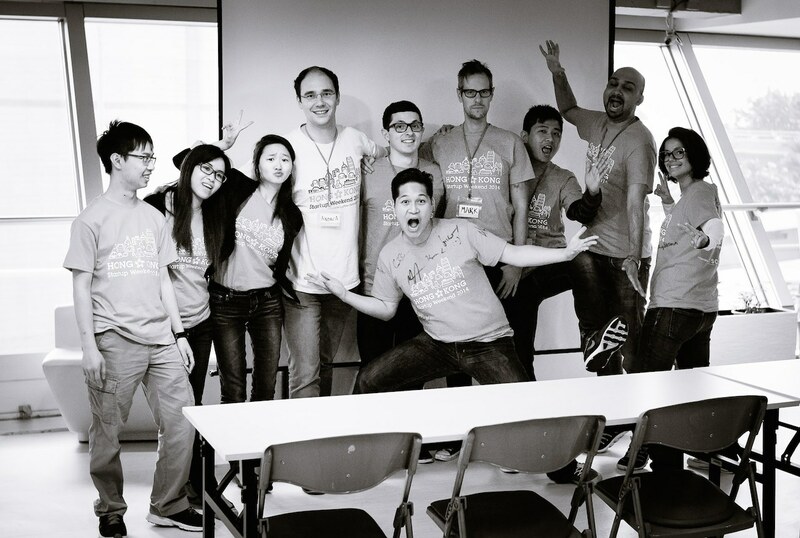 I made some incredible friends and enjoyed it so much that I wanted to share the energy and experience in Hong Kong, hence I volunteered to be an organiser for SWHK#7 (Nov 2014). Being an organiser not only allows you to enjoy the Startup Weekend fun (and stress) for 3 extra months, it also provides a more holistic view of the city’s startup scene. Not to mention you get to connect with some of the most amazing people who are also giving up their time and energy to help others discover their dreams, passion and make new friends. 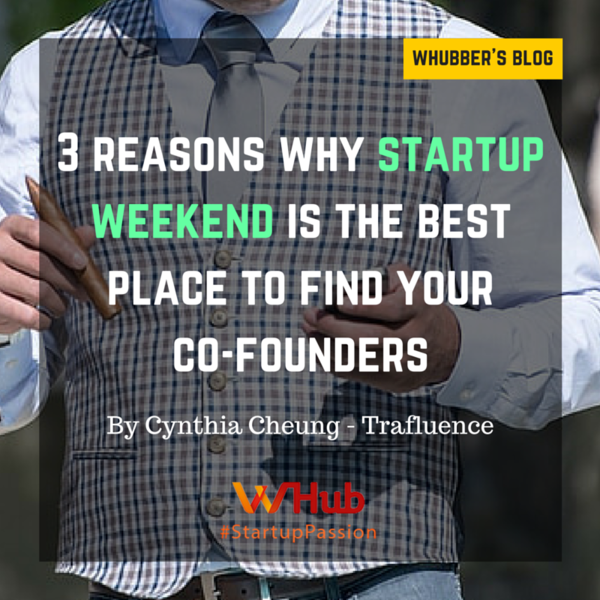 I want to elaborate on why Startup Weekend is the best place to find co-founders and talents, I know many of you came for this very reason, and I have recently found mine there! Let’s face it, people are busy, even with no reasons. Where else will you be able to meet someone who is willing to give up a full weekend and a couple of hundred dollars (HKD) just to meet others who will do the same? People who come to Startup Weekend want to make things happen. They are determined, focused and driven. Moreover, the unique combination of skills to make a modern startup successful are all present at the weekend for you to grab. Opportunities favor the prepared mind, what are you waiting for? I know hiring is difficult, finding a startup soulmate, even more so! How well do you know a person from an interview? How well can you know a person after working with him/her for 54 roller-coaster hours? You get what I mean. Put it this way, these 54 hours will cost you a lot less than hiring / partnering with the wrong person. On the other hand, what is 54 hours when you can find a unicorn who shares your vision? I found mine there, and I’m not alone. Many people have asked me, “What’s the chance of anyone actually meeting a co-founder at a Startup Weekend?”. My answer is, “A lot higher than anywhere else”. I met a fellow organiser who was enthusiastic in a problem I was trying to solve, and that’s all it took to start a mini hackathon on the side during the weekend. You make your own luck. I hope you find this post encouraging, stay tuned, we look forward to meeting you very soon!